The primary source for Library holdings is the	SOAS Library Catalogue. This Online Card Catalogue is intended as a back-up covering some older material which is not yet available in the SOAS Library Catalogue. 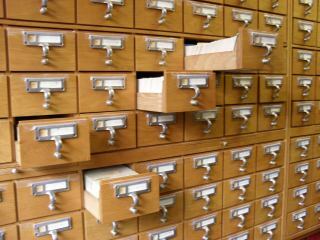 Search here in this card catalogue for items acquired by SOAS Library before 1989 which have not yet been included in the main SOAS Library Catalogue. Choose 'Browse the cards' to browse scanned images of catalogue cards. The Browse function replicates the original card catalogue. Please note: we have ongoing programmes of retrospective catalogue conversion. As book details are added to the SOAS Library Catalogue, it will be removed from Online Card Catalogue. Contact information for the Library is at Library Contact.